Well, here’s something that might make you think twice about bypassing that lone penny on the sidewalk. 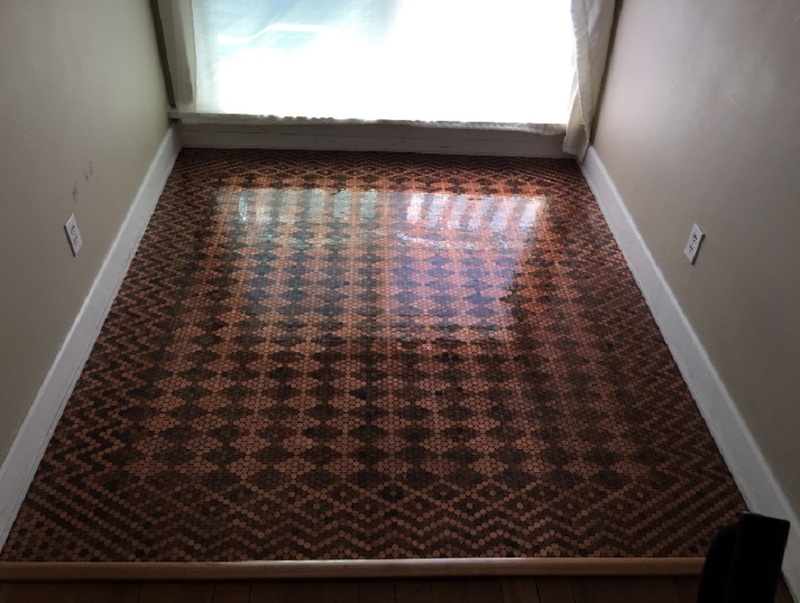 An exceptionally inventive individual by the name of Tonya Tooners used 13,000 pennies to create a floor in her house, and it’s possibly the most unique, coolest DIY home projects we’ve ever seen. According to Bored Panda, the intricately patterned floor took Tooners three months to complete and required three $50 bags of pennies, 10 (!) bottles of glue, grout, wood filled and adhesive that cost more than the pennies. Of all the random things that make your house a home, we would’ve never thought to use pennies as flooring, but it turned out beautifully. Like, this is beyond impressive, y’all. This is what happens when you’re a dedicated DIY queen who absolutely knows her stuff. Needless to say, it’s time for us to get a glue gun and step our game up.